These two Japanese/American young men are the real deal! They are twins and make a solid foundation for any rhythm section. Their trajectory is all but guaranteed to be upward and very long. These boys take the music very seriously––and still manage to make it fun! How can it be that 2 brothers can communicate via their music on such a high level?! 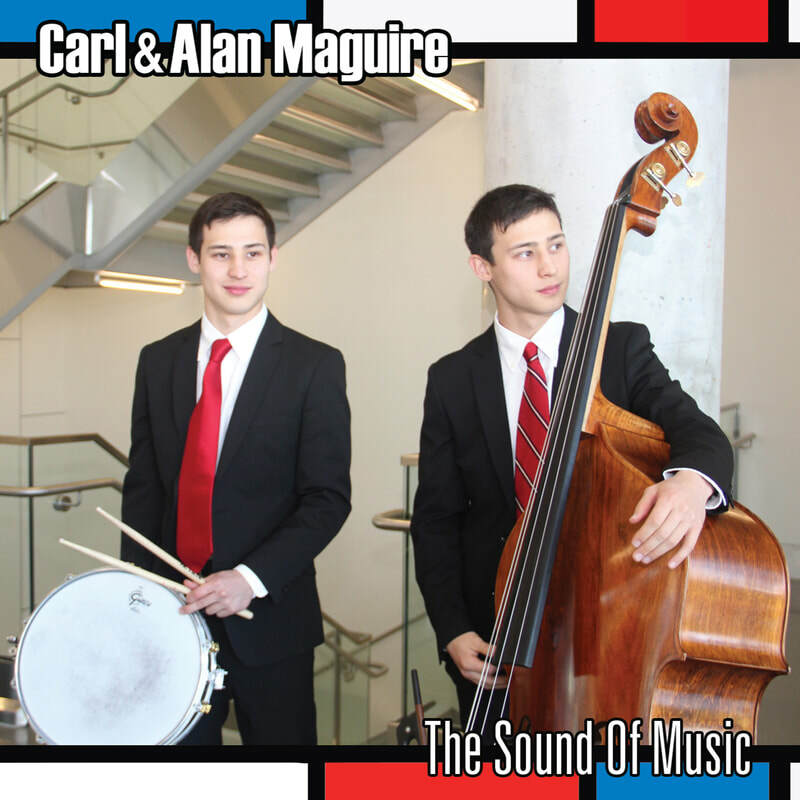 It is uplifting to witness Carl and Alan Maguire move up the familial Jazz Ladder as they share their sounds with the world. Their album is heavy duty but a hearty one. It’s fantastic to have legends like Kirk Whalum with them on their wonderful first step of their career. I felt relentlessly these two new stars’ fighting spirit and the force of them working hard during their apprenticeship. Carl & Alan play with such inspiration. They manage to adapt perfectly well to each soloist, They have a wide variety of playing. ﻿Carl and Alan are talented well beyond their years. They play with an instinct that's normally only seen in veteran musicians. They were an absolute pleasure to work with. They are a 21-year-old young Japanese rhythm section, drummer and bassist. What I hear in this album is highly purified hard bop from America. What a great feeling! This CD is a professional, straight ahead effort worthy of a feature. These guys are off to a great start at an early age, and we are happy to share their talent with the rest of the world. As a result of their continuous hard work, Carl and Alan have made remarkable progress in a short period of time. I feel their future holds limitless possibility. They wowed the audience with their powerful and synchronized performance with authentic technique they obtained where jazz came from (Memphis, Tennessee). Imagine identical, musically inclined identical twins growing up in Hong Kong, where they seldom heard jazz, and then at 15 moving with their Japanese mother and American father to musically rich Memphis. Imagine these boys falling head over heels for jazz to the point of devoting their young lives to it—and then, during one of their regular visits to their grandmother in Japan, creating an enthusiastic following for the music in a town that had never been exposed to it. But that’s not all, folks. Imagine drummer Carl Maguire and bassist Alan Maguire going into the studio with Memphis legend Donald Brown, barely into their twenties, and recording an topflight album with the likes of tenor saxophonist Gregory Tardy, trumpeter Bill Mobley, and pianist Aaron Goldberg. When, you might ask, was the last time dual careers have gotten off to this kind of start? It has indeed been a charmed, storybook life for the Maguire Twins, who at 21 have more worldly experience than many musicians acquire in a lifetime. And as signified by the title of their excellent new recording, Seeking Higher Ground, produced by Brown, they have only begun to grow as artists. 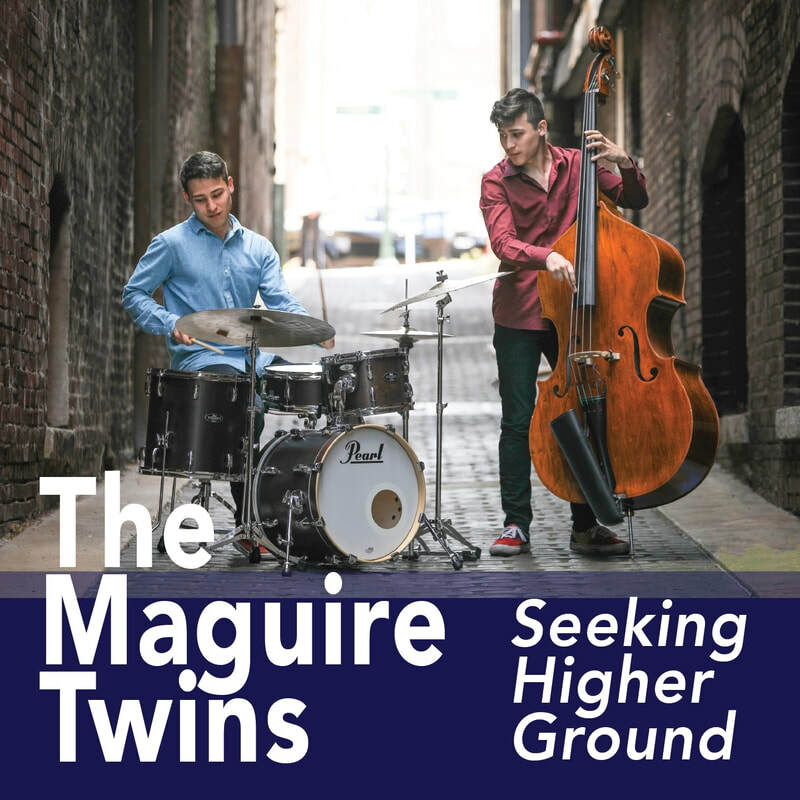 Their second album, Seeking Higher Ground is a stellar showcase for the Maguires, as both players and composers. They contribute two originals each to the program, which includes songs by their illustrious bandmates and producer. And without sacrificing cohesiveness, the songs are stylistically diverse. When the Maguire family made its annual visit to Japan to visit the twins’ maternal grandmother in the inland town of Kitaakita City, the boys performed in various spots, building a following among local musicians as well as fans. Requests for CDs led them to record, at 18, The Sound of Music, a demo-style album released in 2014. Oddly enough, the Maguires are not the only bass and drum pairing who are identical twins. The exceptional, French-born François and Louis Moutin are charter members of that club. You would expect Carl and Alan to enjoy a special connection on the bandstand, the way twins do in life, but they were less interested in discussing possible extrasensory ties than the benefits of their shared experience. “We know what we want from each other,” says Alan. With each tour of Japan and Hong Kong, where they began performing on an annual basis in 2013, their Asian following has grown. So has the talent pool they draw from over there. The twins have performed with artists such as guitarist Yosuke Onuma, trombonist Shigeharu Mukai, pianist Yuichi Inoue, and saxophonist Yosuke Sato in Japan as well as pianist Ted Lo in Hong Kong. In June 2018, their second album, 'Seeking Higher Ground' debuted on the US Jazz Week Chart. They were #32 and stayed on the chart for 5 consecutive weeks. In November 2018, they had a successful Japan tour. Their Jazz & Shamisen Concert in Akita, Japan had over 1,000+ audience. Born in Tokyo and grew up in Hong Kong, The Maguire Twins, Carl Seitaro & Alan Shutaro Maguire moved to Memphis at age 15. They found jazz at Stax Music Academy and met Kirk Whalum and Donald Brown, their future producer. At age 18, they recorded their first album ‘The Sound of Music’ with Brown (producer) and Whalum (guest artist). They have been frequently performing around USA, Japan and Hong Kong since 2013. Their passionate playing style has been capturing many music fans, not only jazz fans. In 2018, they released their second album ‘Seeking Higher Ground’ with Aaron Goldberg, Bill Mobley and Gregory Tardy. Again produced by Brown. It reached #32 on the US Jazz Week Chart and stayed on the chart for 5 weeks. In Nov. 2018 they had a successful Japan tour and their Jazz & Shamisen concert had a 1,000+ audience. With this milestone they are committed to bridge borders and generations with their music.